Dried apple chips are readily available this time of year at most supermarkets. 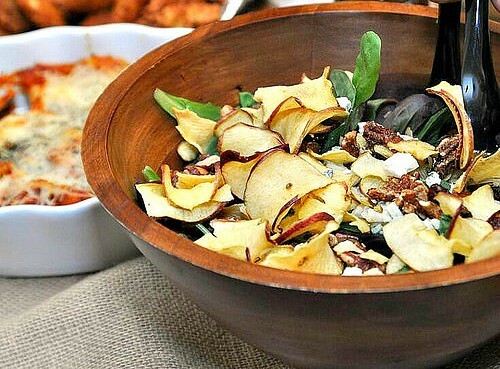 They add a nice, subtle sweet texture to the salad while carrying the apple flavor. There are quite a few flavors on the market as well - cinnamon, caramel, golden delicious, granny smith, to name a few! 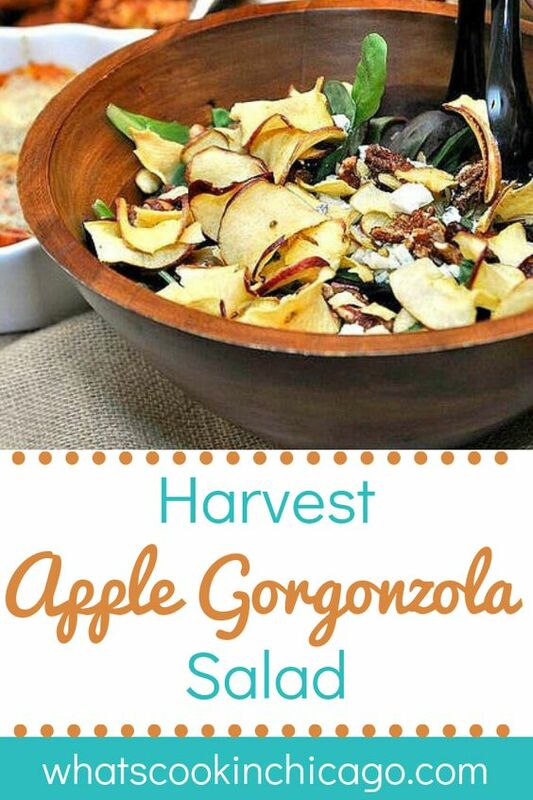 I'm a big fan of incorporating fruits, nuts and cheese in a salad so it seemed like a great pairing to combine apples, pecans and Gorgonzola cheese. Blue cheese and walnuts also work well too as substitutes! There really isn't much of a recipe aside from assembling these ingredients together. I will sometimes serve the toppings separately for guests to add as they wish. But it's definitely easier to combine the salad and serve ready for dressing at the table. 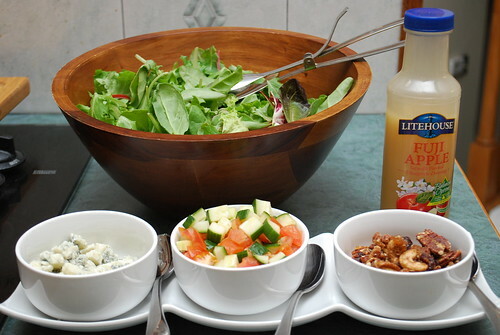 In a large salad bowl, add mixed greens. Top with cheese, pecans, apples, cucumber.